YouTube has added a new feature in its ever growing list of services. This time popular online video sharing website has launched a feature that allows users to capture desktop screen using YouTube without leaving the app. For this trick to work, you will need a working internet connection. YouTube offers one of the best tools to capture screens. Now capture desktop screen and share with YouTube viewers. In order to capture desktop screen using YouTube, you can use Google’s Go Live feature. With Google Go Live, you can stream live videos to the subscribers of your channels from anywhere. Another tool you which you can use to capture desktop using YouTube is a Screen-cast app which allows users to capture desktop along with voice recording. You don’t need any video recording software to capture and upload screens on YouTube along with voice recording to create interactive videos. Login on YouTube using your Gmail account. Create Gmail account if you don’t have one already. When logged in, click on the Upload button. It’s in the top-right corner alongside the notification icon. On the left pane of YouTube window screen, click on Events just under the Live Streaming section. Next, click on the New Live Event button to start live streaming. Now a new Create a new event page will open. Enter a name or title in the Basic info tab. Click on Public drop-down menu option and then hit Unlisted. Now, click on the Go Live Now button and hit OK button in the Ready to go! dialogue box. This will open a new Google Hangout pop-up will open. In the Google Hangout window, move the cursor to the left and click on ScreenShare icon. In the options window, select Entire screen option and click on Share button. Minimize all open windows, and hit the Start Broadcast button and hit OK to start recording. Wait for the Google Hangout to get ready to start recording your screen. When the Stop broadcast button appears on the screen, it means recording is under way. Complete your recording and when done, click Google Hangouts windows and hit Stop Broadcast button. 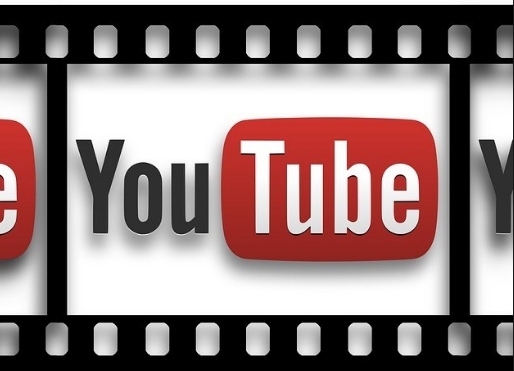 The recorded video will be saved in MP4 format which you can access in YouTube’s Videos option under Video Manager. Wait for the video to process. You can now download the recorded video to your compute. When done, click on the down arrow icon beside the edit button of the video. Click Download in options to start downloading the desired video. When the video is downloaded onto hard disk, you can edit it to add audio in it using editing app or tool. However, there are some disadvantages of using Google Hangout screen feature to capture desktop screen: first if you play the video recorded using YouTube, it will show Google watermark on the top-left of the video. Another watermark appears at the end of the video. You can remove this watermark by downloading the video and edit it. Second, you need internet connect to capture screen using YouTube. All in all, capturing YouTube using screen recording is a good option that works well for users without needing any professional editing and recording tool. Common Windows RUN Commands To Launch Programs & Services Quickly.